Last week saw another epic tidal wave of bad economic news sweep over the helpless shores of Vladimir Putin’s Russia. It was announced that Russia had lost a whopping $30 billion in capital flight last year, a stunning four times more than the Kremlin had predicted would occur. The bloodletting continued in shocking fashion this year, when capital outflow in January alone reached $13 billion despite a rising oil prices that should have redirected foreign money towards Russian assets. At this rate, capital flight in 2011 will be even higher than it was last year. Then the world learned that Russia has the lowest foreign investment rate of any emerging economy on the planet. Major retailers like Wal-mart and Carrefour have rejected the Russian market entirely, while others like Ikea have ceased further investment. Foreign banks too, it was reported, are fleeing the Russian market, lest their capital be stolen by the so-called “government” they find there. EDITORIAL: Walmart to Russia — Drop Dead! Walmart to Russia — Drop Dead! We congratulate the executives at Walmart Inc. on their wisdom in deciding to reject the Russian market. We encourage the very small number of other Western companies who are considering investment in Russia, or who are already there, to do likewise. Western firms that do business in Russia are supporting the rise of a neo-Soviet state and therefore they are both undermining democracy in Russia, destroying the future of Russia’s children, and helping to create a dire new threat to the security of the West. History will judge them harshly, and conscientious Western citizens should boycott any firm they know to be doing business in Russia in order to send a clear message that such support is intolerable. That’s to say nothing, of course, of the appalling risks of doing business in the KGB state run by proud KGB spy Vladimir Putin. Last week, once again, Vladimir Putin’s Russia was awash in appallingly bad economic news. Inflation was roaring and consumer confidence was plummeting. The stock market was bouncing around like a yo-yo, helplessly enslaved by world raw materials prices. A Russian defector won a Nobel prize and then ruthlessly condemned the state of neo-Soviet science. Once again, Russia pathetically flailed about seeking WTO membership like a beggar, and retail giant IKEA announced it was halting investment in the the land of Putin (IKEA has spent more on Russia than the Kremlin is planning to spend on the Sokolovo “Russian Silicon Valley” project). All this leads Russians to look elsewhere for investment opportunities, of course. Capital flight has always been a main hallmark of the despotic Putin regime. So last week, Putin revealed his “solution” to that problem: He simply won’t let Russians access foreign markets. Who can be surprised that Putin, a proud KGB spy and a relic of the failed Soviet past, would adopt a neo-Soviet authoritarian response to the inconvenience of the marketplace? Who can expect his results to be any better than those of his Soviet ancestors? IKEA to Russia: Drop Dead! Earlier this year I wrote about IKEA’s corruption problems in Russia. Two senior managers were fired after Swedish media reported that the managers had approved a bribe payment by their general contractor in order to obtain electricity service for a St. Petersburg Mega-Mall. IKEA had been powering the mall with rented generators, but changed its approach once it found that an employee allegedly received kickbacks from the generator company in exchange for paying inflated rental rates. As we now know, Plan B did not work out so well. This week IKEA Russia’s new chief Per Wendschlag announced that IKEA would “focus on existing stores” and that it the Swedish company was halting constructionof a $1 billion mall near Moscow (Europe’s would-be largest shopping mall), which was just announced in April 2010 (right after the corruption scandal in February). At first glance, this seems like a prudent strategy – some of IKEA’s problems have arisen from its previous balls out expansion strategy. The resulting construction has at times been shoddy and has caused accidents. 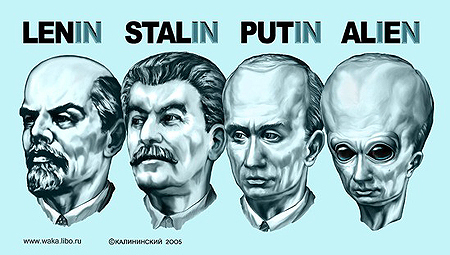 The Russian website Slon.ru (Russian language link, hat tip Russia! magazine) recently conducted a survey of IKEA prices, surveying the same list of 32 items in 28 different countries. It then rank-ordered the countries to see which one had the most expensive bill at checkout. Vladimir Putin’s Russia came in at #3. Only two countries in the whole world are forced to pay more for IKEA home furnishings than Russia (Japan, where everything costs more, and Australia, where shipping costs are prohibitive, topped Russia). Where are IKEA goods cheapest? The United States of America. Instead, Ikea rented diesel generators large enough to power a shopping mall. The generators roared to life in a loud rebuke to the corrupt executives who thought they had the retailer cornered, and soon the utility turned on the power. The story of IKEA’s foolhardy entry into the Russian market is a cautionary tale for any Western business, and the moral of the story is simple: Don’t do it! We must confess, we take some pleasure in watching the zebra-like carcass of IKEA being ripped apart and devoured by the Russian jackals. It’s a fate the company richly deserves for playing its part in supporting the Putin dictatorship. Sensible consumers should buy their furniture elsewhere.